Sacred Hearts Academy - The Blog: Celebrate the Holidays with Sugar Plums and Mice! The Nutcracker has been a ballet holiday treat for about 120 years. The first performance of The Nutcracker was held in St. Petersburg, Russia at the Imperial Mariinsky Theatre. Two of ballet’s most revered classical choreographers, Marius Petipa and Lev Ivanov, are credited for the original ballet choreography set to the music of famed ballet composer Pyotr Ilyich Tchaikovsky. The original story of The Nutcracker, written by E.T.A. Hoffman, centers around the journey of a young girl named Marie. The magic begins when Marie is presented with a nutcracker by her favorite Godfather Drosselmeyer. At the stroke of midnight, the nutcracker comes to life to battle a giant horde of evil mice. When the battle has been won, the nutcracker transforms into a handsome prince, and in gratitude to Marie for helping win the battle, he escorts her to his enchanted Kingdom of Sweets where she meets the Sugar Plum Fairy and all of the prince’s loyal subjects. Six years ago, The Nutcracker premiered as a 20-minute lunchtime performance in the gymnasium of Sacred Hearts Academy. It has blossomed into a two-evening, full-length ballet Christmas affair onstage at Mamiya Theatre complete with snow, fog, and a holiday-themed craft and bake sale! 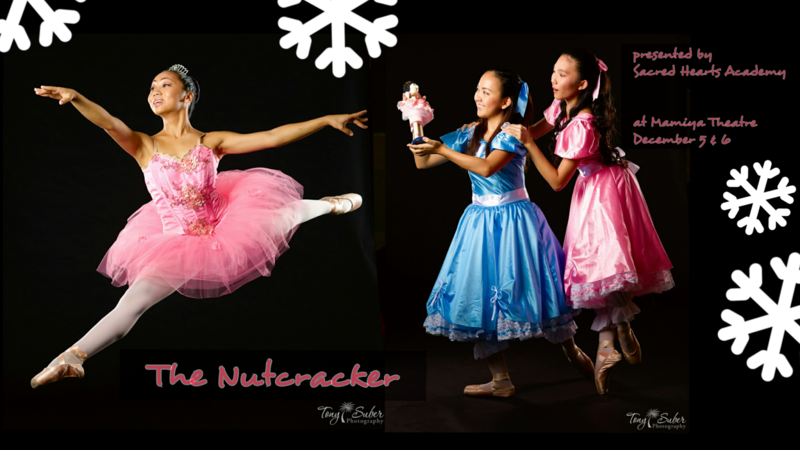 This year’s cast includes 53 dancers from grades 7-12 featuring senior Academy dancers Megan Garcia as the Sugar Plum Fairy, Angelique Racpan as the Snow Queen, and Jillian Anderson as the Dewdrop Fairy. 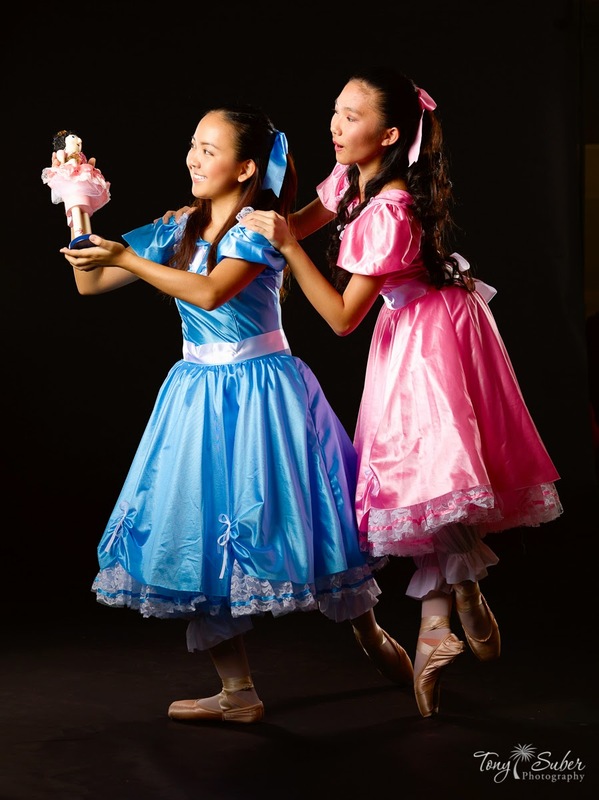 Sophomores Sydney Chock and Ellena Igari will dance the roles of Clara and Marie, the two sisters who experience a magical Christmas night battling evil mice, saving Sugar Plum fairies, and dancing with delicious sweets. Performances will be held on Friday Dec. 5th at 7:00 p.m. and Saturday Dec. 6th at 6:00 p.m. at Mamiya Theatre. Tickets are $10 plus processing fees at www.sacredhearts.org/tickets beginning on November 19. *Update* Reserved seating available now!